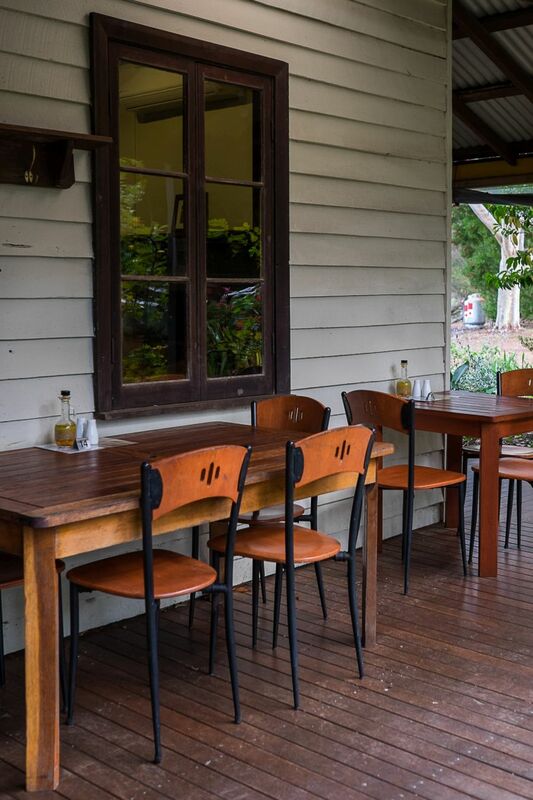 Your first decision comes after you’ve parked the car: Cellar Door and Tasting Room to the left, Cottage Cafe to the right. Both options feature delicious things. 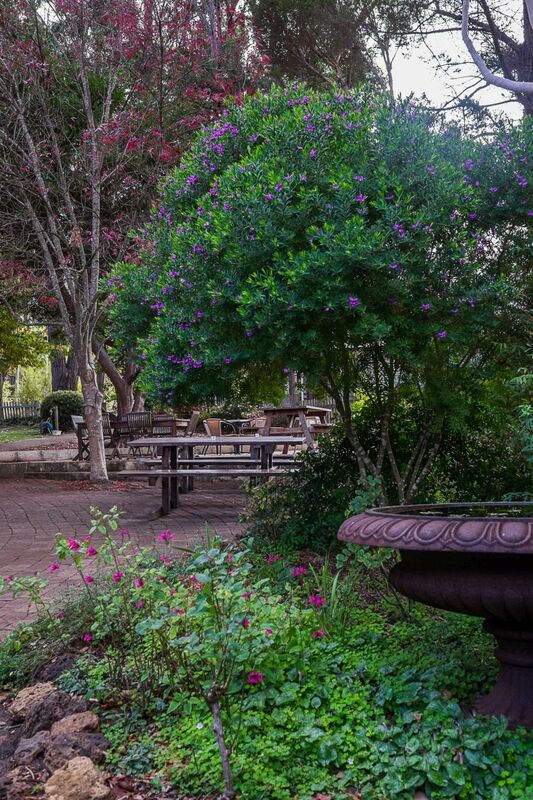 The Berry Farm is one of those places best visited when you’re at least a little hungry. 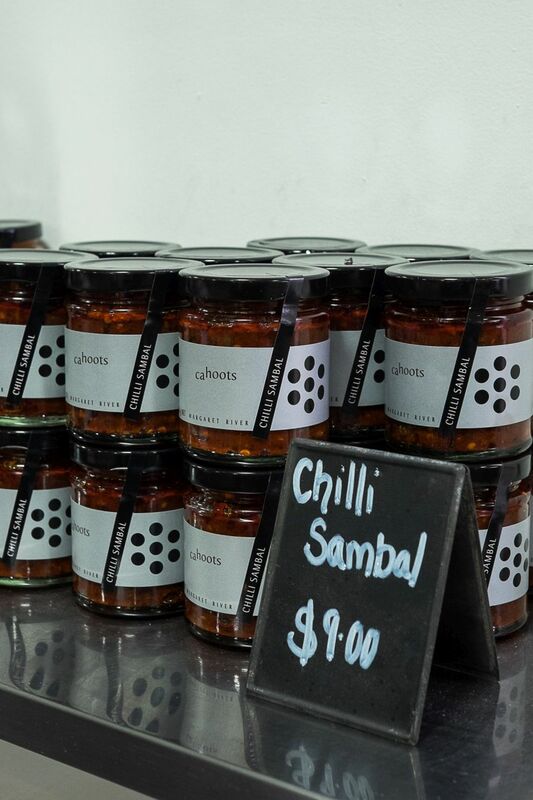 At the Cellar Door, over 40 gourmet products can be tasted each day, from the Berry Farm’s range of jams, preserves, sauces, pickles, chutneys, dressings and vinegars. 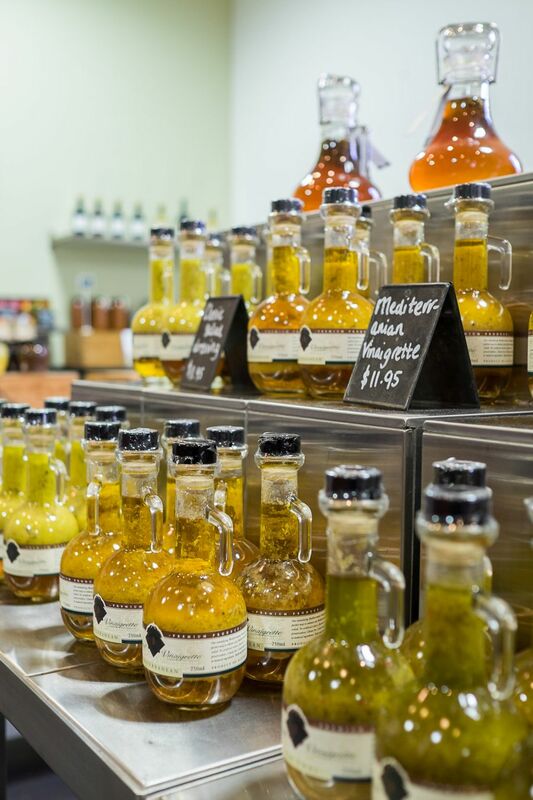 For the grown-ups, there are ciders, sparkling wines, fortified wines and liqueurs, all of which include berry varieties. If you’re lucky to be there at the right time of year, you might get to buy a bag of fresh avocados, grown in the orchard right next to the building. 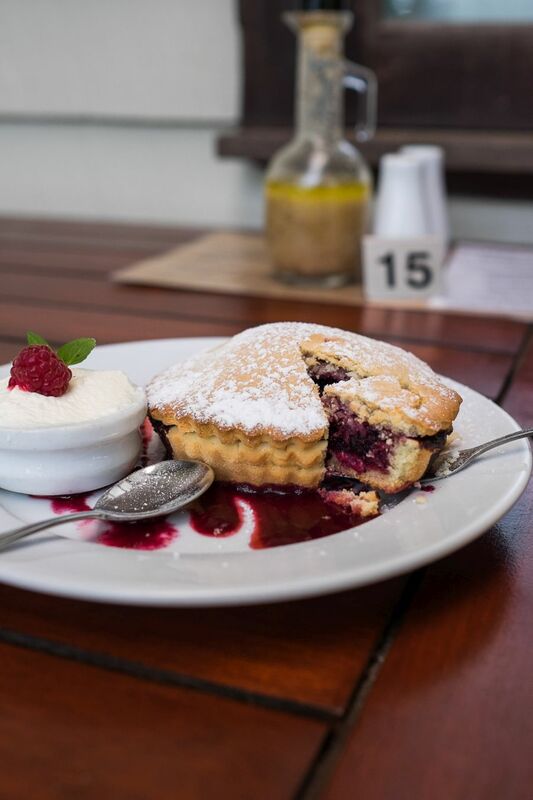 At the Cottage Cafe, which was once a settlers’ home, we grabbed a table at the timber verandah and tucked into scones with jam and cream and shared a hot boysenberry pie with crisp yet crumbly shortcrust pastry. 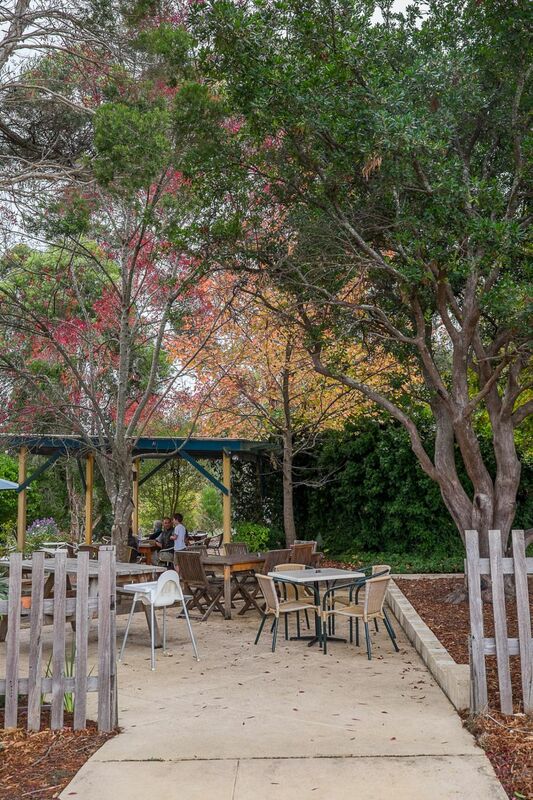 It’s a family-friendly venue, with an outdoor playground and grassy areas for kids to run about and work off excess energy (possibly pent-up from the drive to Margaret River), and a children’s corner with toys and a blackboard located in the Cellar Door. Dogs are welcome at the Berry Farm too. There’s plenty of free parking. 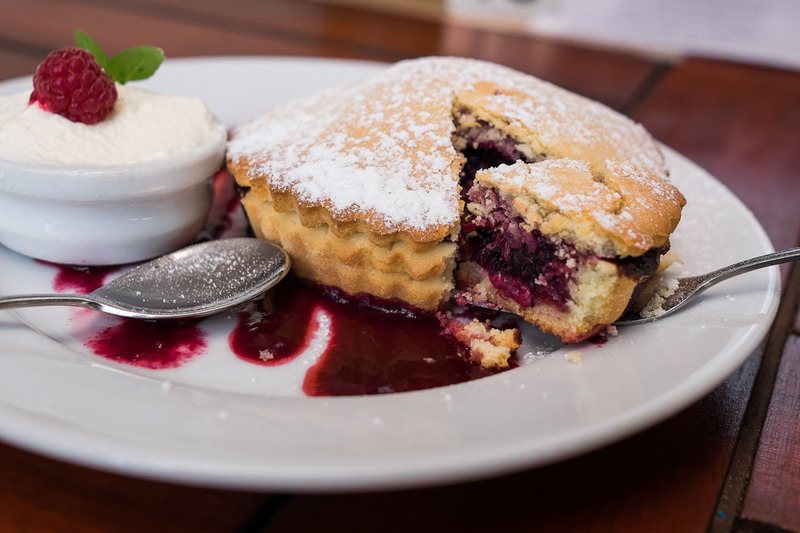 It’s like being in an Enid Blyton story: little birds dart about in the picturesque cottage garden, and if you sit outside with your lunch or sweet treats for tea you may catch a cheeky blue wren trying to sneak a taste off your plate. 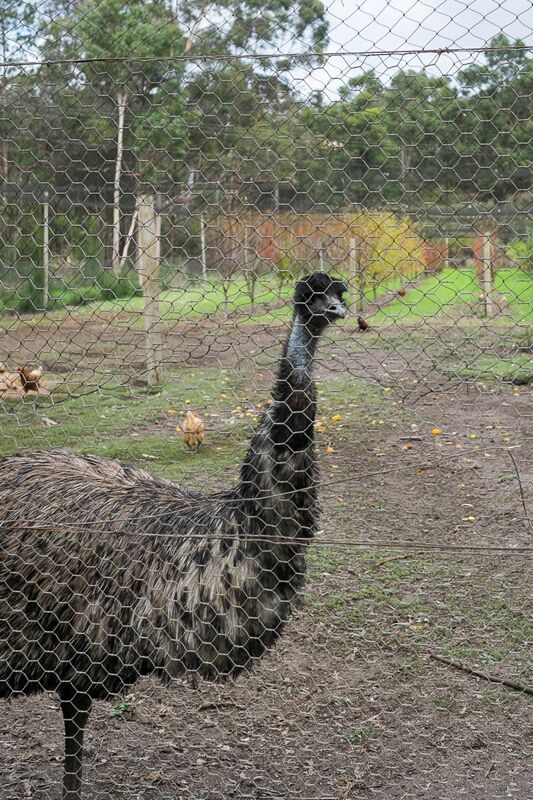 In this idyllic Western Australian storybook, the chook yard’s got chickens (scratching), geese (patrolling), a beautiful peacock and an inquisitive emu named Edwina. 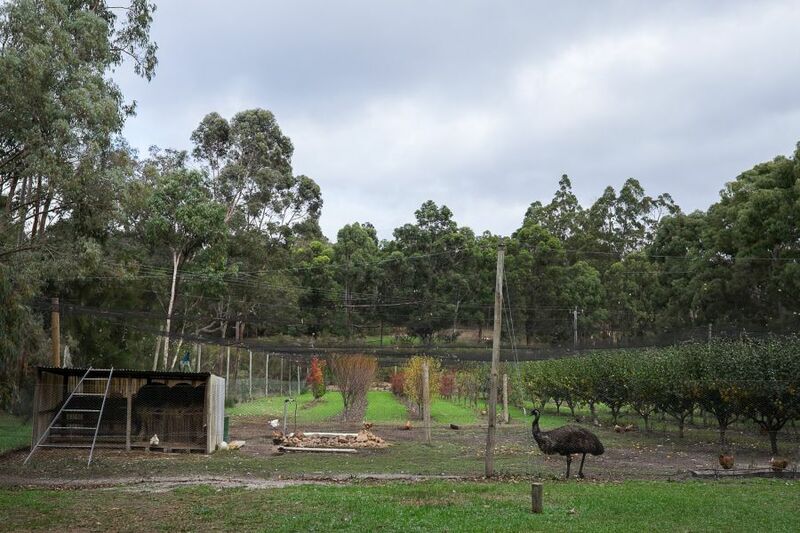 We were shown around by the Berry Farm’s Marketing Manager Emma and enjoyed morning tea compliments of the Berry Farm. 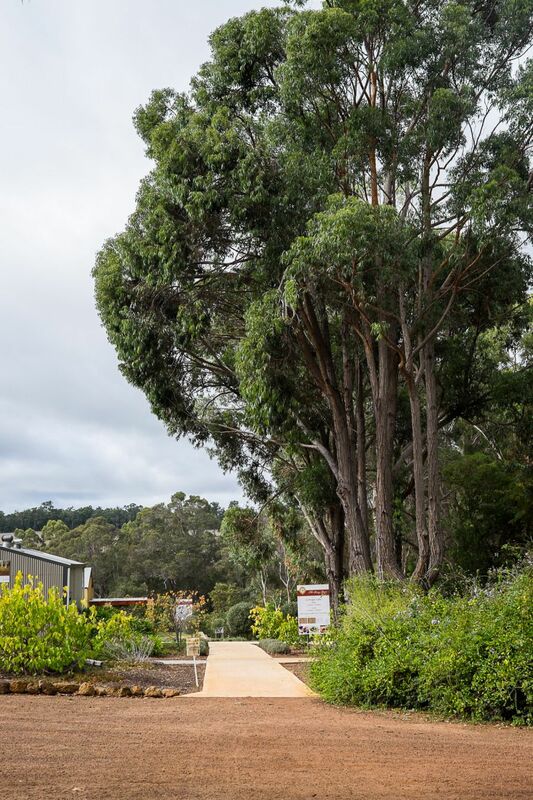 Cellar Door and Tasting Room to the left, Cottage Cafe to the right. 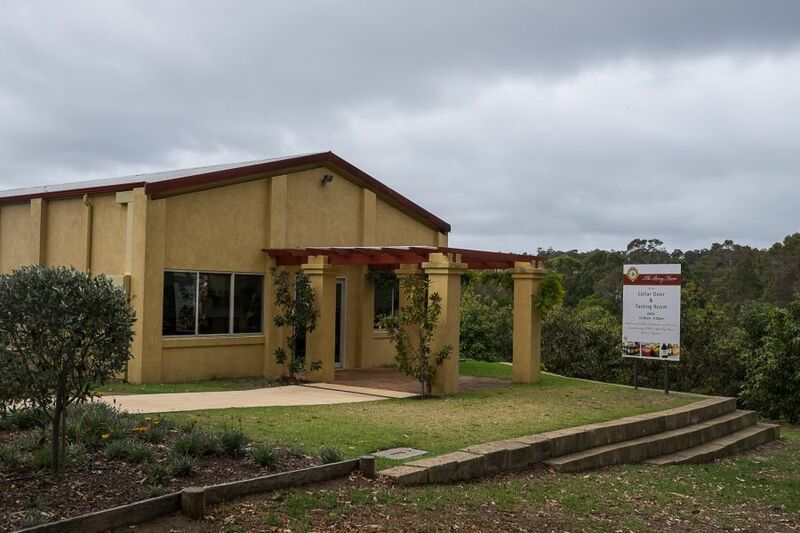 The Cellar Door and Tasting Room. 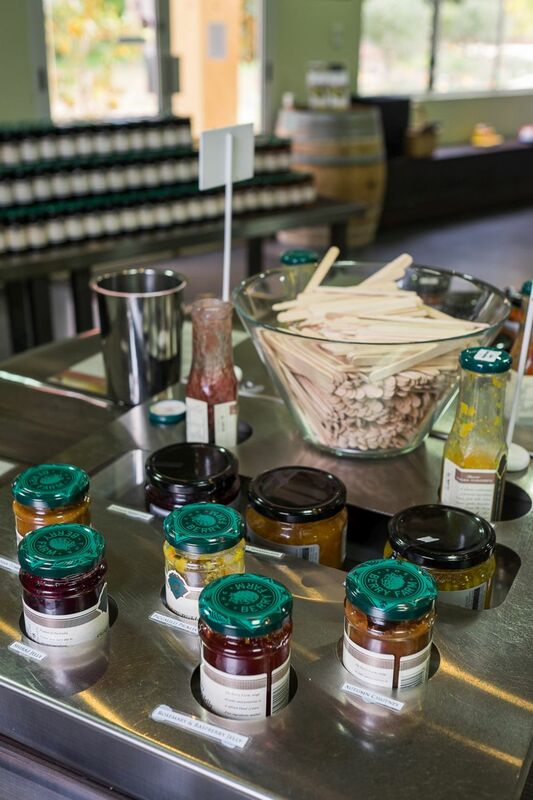 The Berry Farm’s range of jams and marmalades is available for tasting. I was still in an Enid Blyton place with this blackberry jam. 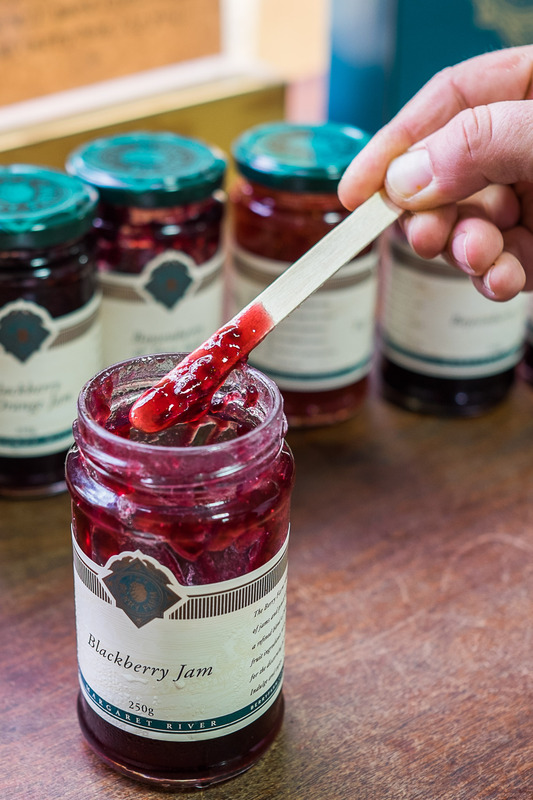 The Berry Farm’s Cottage Select products are made in small batches from seasonal fruit grown at the Berry Farm or premium producers in the region. 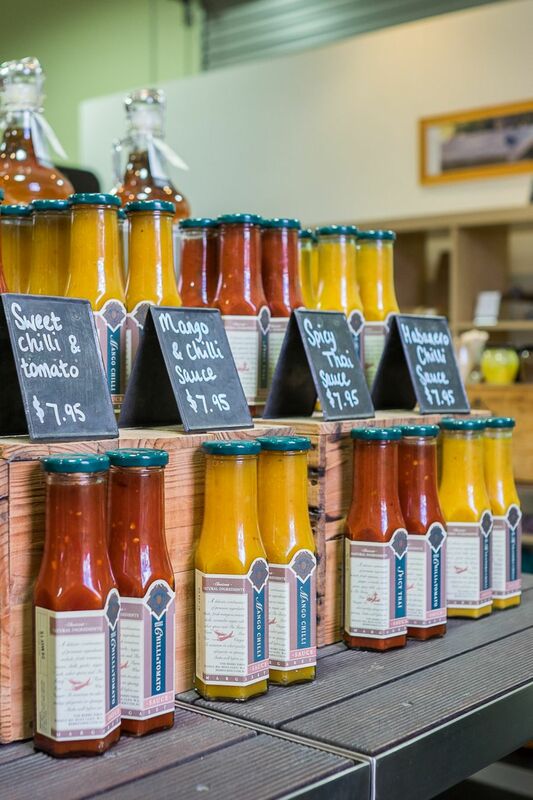 The range changes constantly, depending on what fruit is harvested. 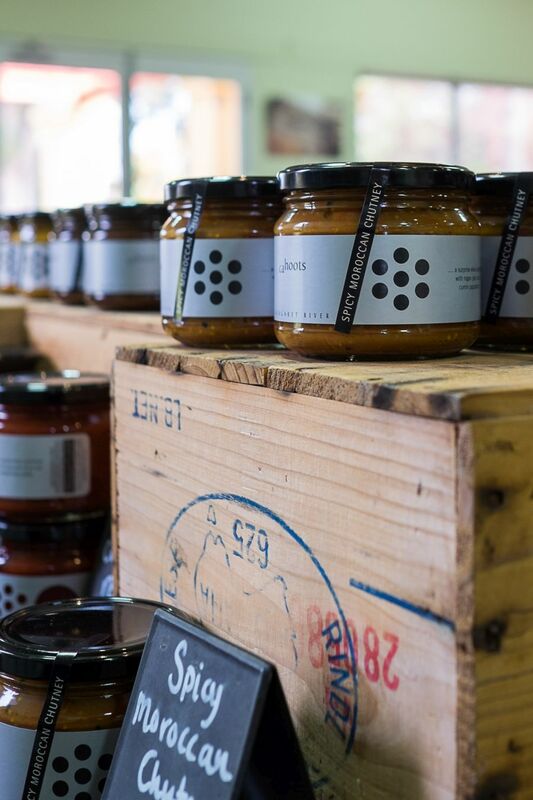 The Berry Farm sells a line of contemporary gourmet preserves incorporating international flavours under its Cahoots brand. 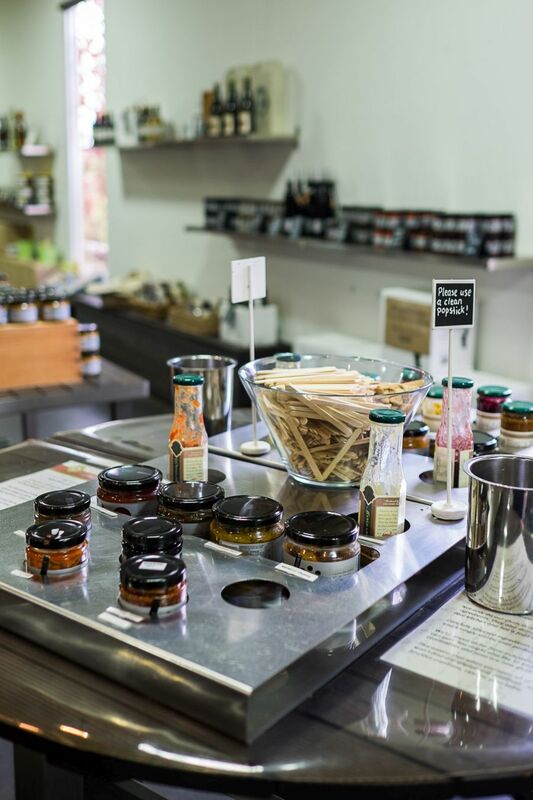 The salad dressing range includes Classic Salad Dressing, a blend of local extra virgin olive oil with garlic, herbs, spices and Berry Farm’s Margaret River Pear Wine Vinegar (we bought a bottle of the vinegar); Mediterranean, Mild Thai, and Strawberry vinaigrettes. 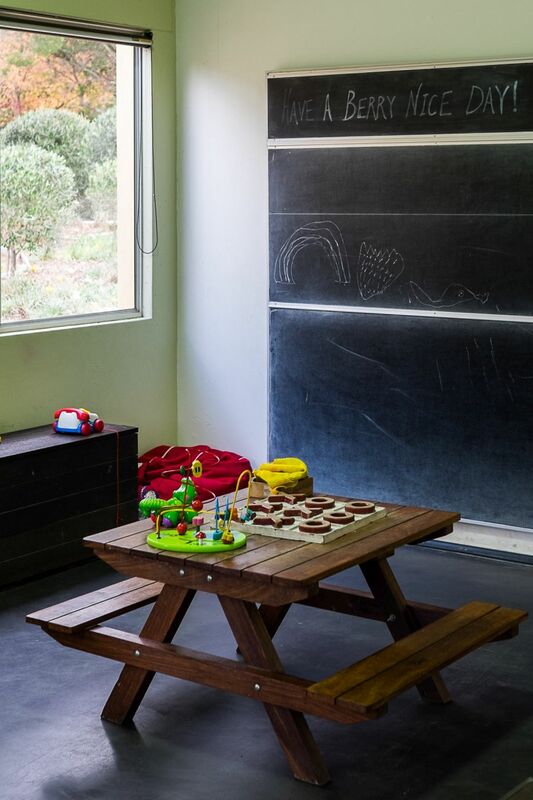 The Children’s corner in the Cellar Door. Boysenberry pie innards. The pie was not as sweet as I expected, which I rather liked. The whipped cream went very well with it. 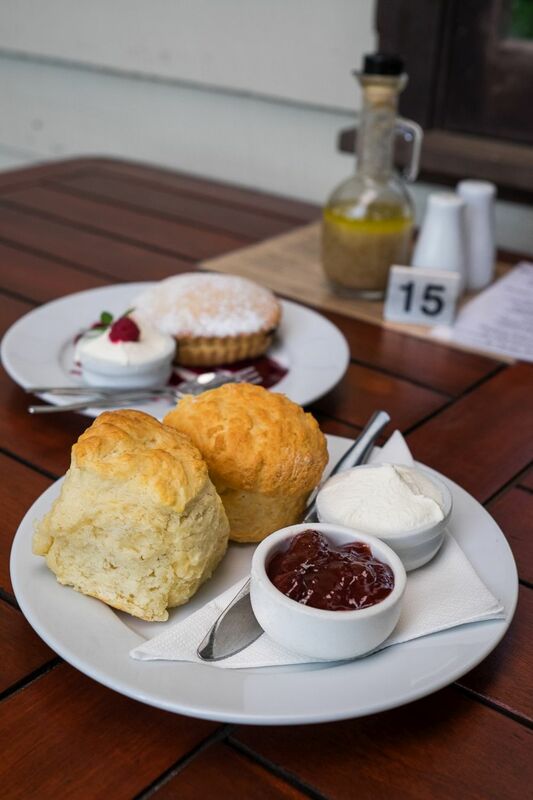 The scones teased us with their glorious oven-baked smell and golden souffle looks, too hot to pick up immediately. 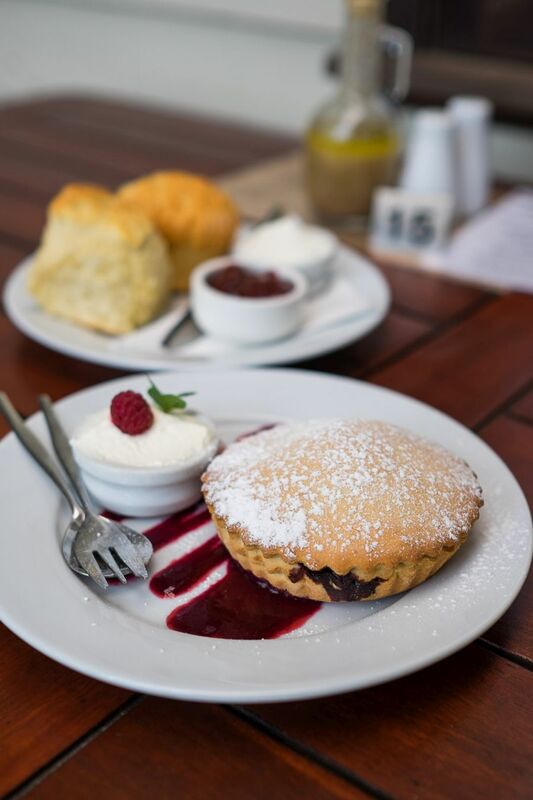 We’ve eaten many a scone at high tea that left us wanting, but these were terrific. 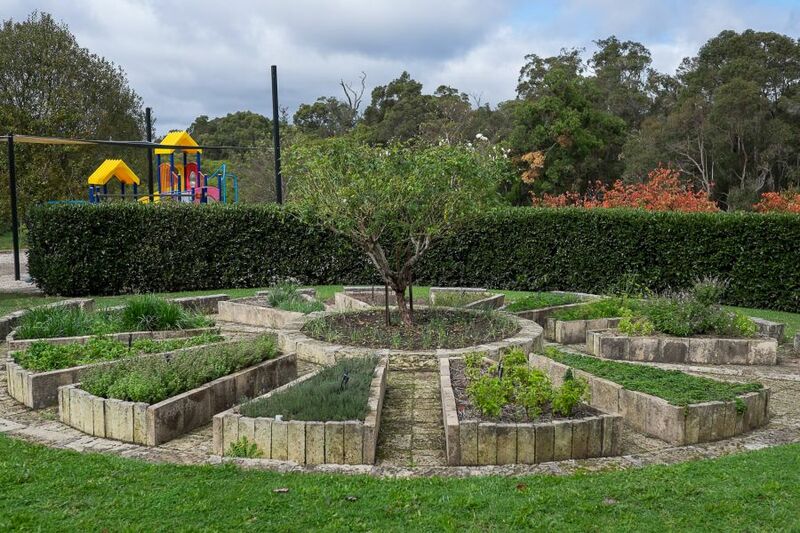 Herb garden – the playground is in the background. I’m always somewhat nervous around geese, having been chased and pecked by a goose when younger. 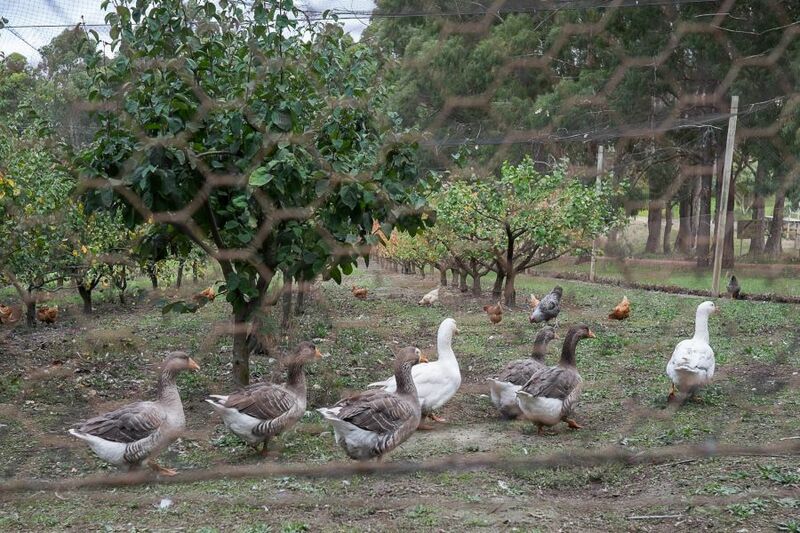 Thank goodness for the chook wire fence. I think they can smell my fear. 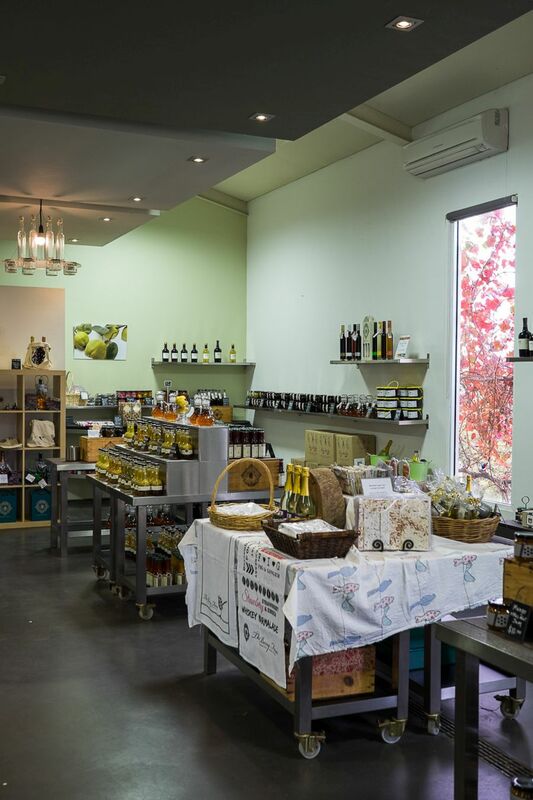 The Berry Farm is 16+ km southeast of Margaret River. Closed on Good Friday, 24, 25 and 26 December and New Year’s Day. 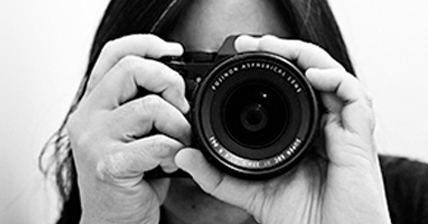 Bookings are essential on weekends and holidays. 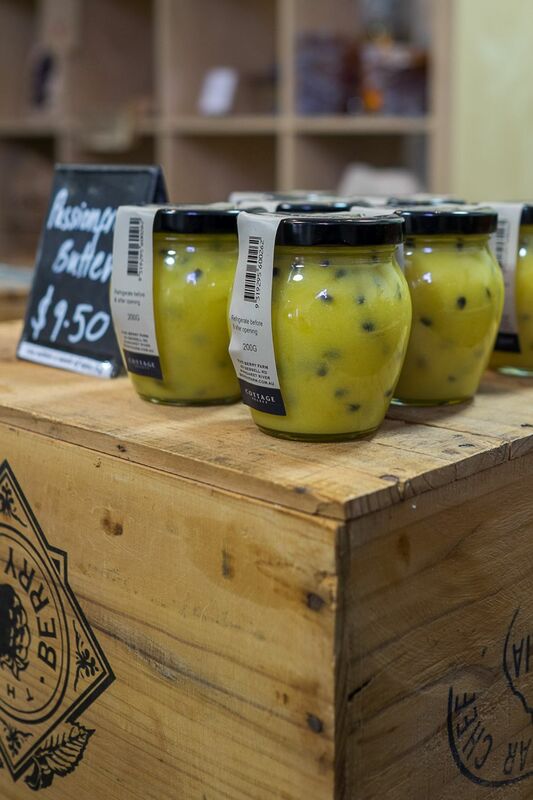 Berry Farm products can be bought in-store, online and in the Perth metropolitan area at The Herdsman in Churchlands.